Do you have to use the flop to have a winning hand? - Casino Answers! 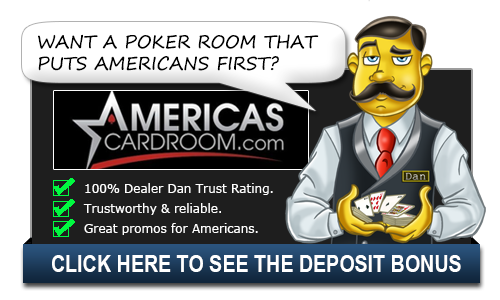 Casino Answers » Poker » Texas Holdem » Do you have to use the flop to have a winning hand? So each player is dealt two cards and there are five cards on the board (community cards) so that is a total of seven cards available to each player. Knowing that the best five cards win, technically your hand will be made up of at least one card from the flop no matter what. That’s just simple math. However, you don’t have to use all the cards from the flop and you may find yourself in a situation where you are only using one of them. You have four of a kind and would win the hand, but you would still include one of the flop cards as part of your hand. Would that card really matter? No, but it is needed to make an “official” hand so in this scenario you would use the 7h to make your hand an official winning hand. It doesn’t matter, but it goes down in the record books as that being your hand. Do you have to see the flop to win the hand? Absolutely not. In fact, in some scenarios it might be better for you to not see the flop. Let’s say you have Pocket Sevens and you bet before the flop, raising the big blind. Well, if the big blind has something like 8-9 and they fold, you win. However, if the flop came and that person got an eight on the flop you would then be behind and a major underdog for the rest of the hand with only two cards in the deck that can possibly help you. Sometimes it is quite advantageous to try and win the hand before you see the flop when you have a good hand just to avoid someone sucking out on you with a bad flop. Why does the dealer burn a card before the flop? The burn card is an older rule that was created to avoid players from marking the card and knowing what is going to come next, but it has survived and become part of the game we know and love today. Players would mark cards or study the cards for marks to see what they are. Then when the dealer was holding the deck and waiting to deal the flop, they would know what card was coming next and thus bet accordingly. This would create an unfair advantage so the dealer “burns” that card so nobody can use it and instead goes with the card directly underneath it that nobody was able to study. In modern casinos, they keep close watch on the decks and change them out at any sign of marking, but the rule has stuck and probably will always be a part of the game.